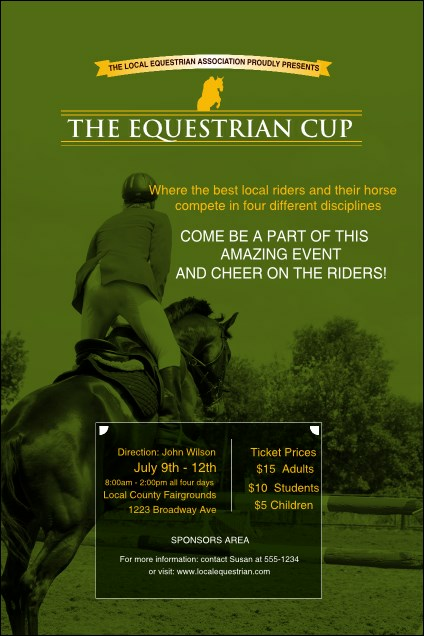 Get your event in the hearts and minds of every local horse lover when you use the Equestrian Poster around town! This template benefits any function with handsome colors and a lively look that features an active horsewoman. Nineteen lines of text can be adapted to fit any type of occasion. The right poster is waiting for your event at TicketRiver.com.au!